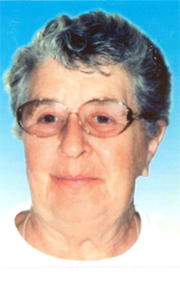 Sr. Jeannette LeHoullier, CSC, of the Sisters of Holy Cross, died at Holy Cross Health Center, 357 Island Pond Road, Manchester, NH at the age of 93. Sister Jeannette was born in Somersworth, NH. 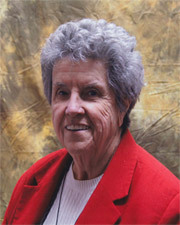 She began her teaching Ministry in 1954 teaching at St. Louis School in Nashua, NH. 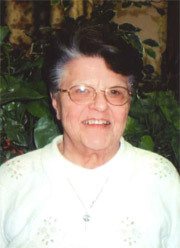 Sr. Jeannette taught for many years in Massachusetts and New Hampshire. She taught on several different grade levels. She was the Secretary to the President of Notre Dame College for 3 years between 1983 and 1986. She also spent about 6 years in Anchorage Alaska in the Chancery Office for the Archdiocese of Alaska. She spent 64 of her 93 years in religious life. Sr. Lucie E. Ducas, CSC of the Sisters of Holy Cross, died at Holy Cross Health Center, 357 Island Pond Road, Manchester, NH, at the age of 81. Sister Lucie was born in Nashua, NH and was the daughter of the Henri T. Ducas and Dolorosa (Rochette). Sister Lucie earned her Bachelor’s Degree at Notre Dame College in Manchester, NH and her Master’s degrees at Salve Regina College in Newport, RI. She spent her earlier years as a Pastoral Minister and Pastoral Associate. Sister Lucie then went on to teach elementary grade levels for many years in Massachusetts, Rhode Island, Connecticut and New Hampshire. Sr. Lucie was totally committed to faith education and loved being an advocate for those in need. In 1983 the Diocese of Manchester awarded her with a certificate of recognition for her dedication as an “outstanding example of professionalism and Christian service to the local Parish community”. She spent 62 of her 81 years in religious life. Sr. Juliette Payment, CSC, of the Sisters of Holy Cross, died at Holy Cross Health Center, 357 Island Pond Road, Manchester, NH, at the age of 84. Sister Julie entered the Congregation of the Sisters of Holy Cross in 1962. She made her final profession in 1968 and served her Congregation faithfully for 56 years. Sister Julie earned her Bachelor’s degree at Notre Dame College and then spent most of her life as a teacher. She taught in Groton, CT; New Bedford and Attleboro, MA. And Nashua, NH. She was Principal of St. Joseph High School in Nashua, NH and an Administrative Assistant of Mount St. Mary High School also in Nashua, NH. Sister Julie was also spent 2 years as Activity Director for the Holy Cross Health Center where she was deeply loved by all of the residents. She retired at the Holy Cross Health Center in 2007.